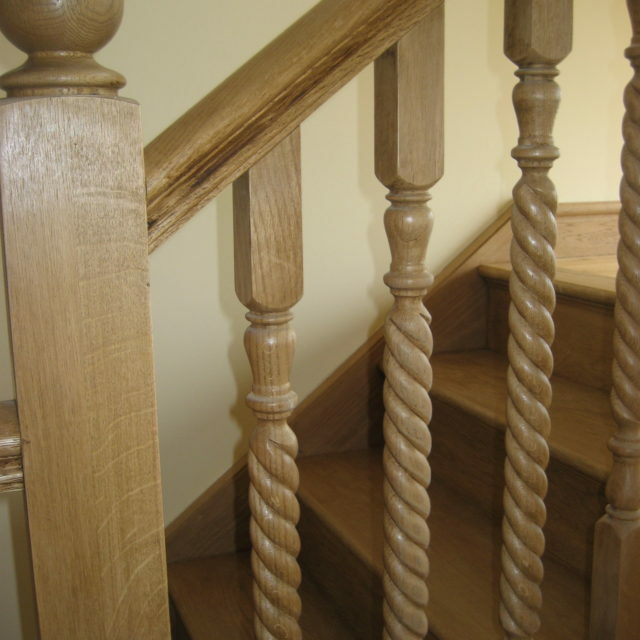 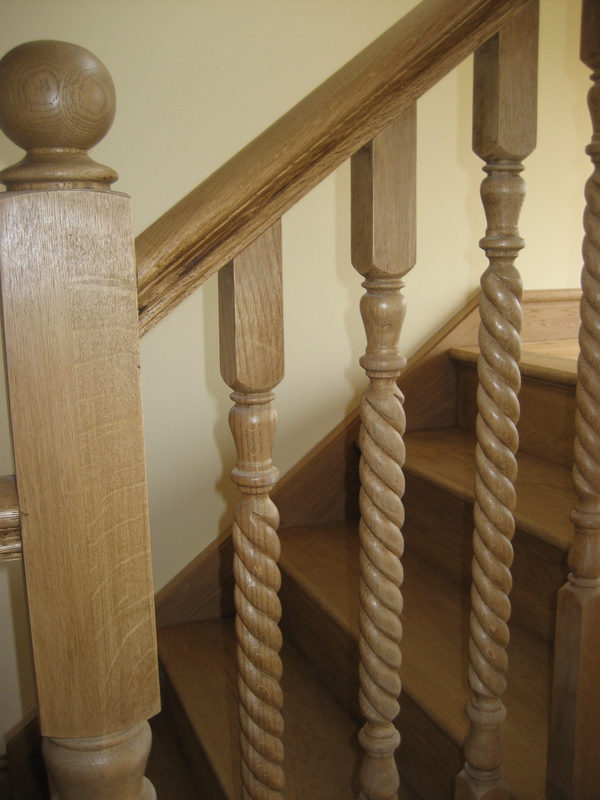 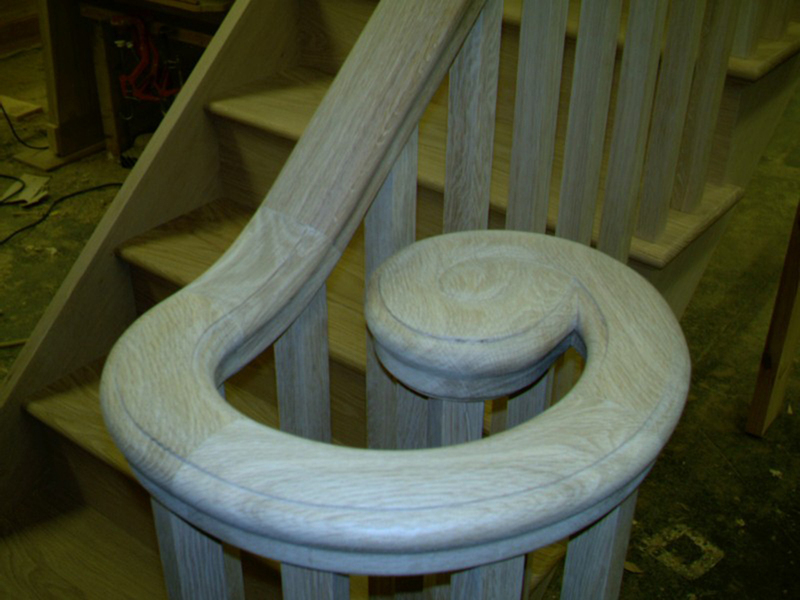 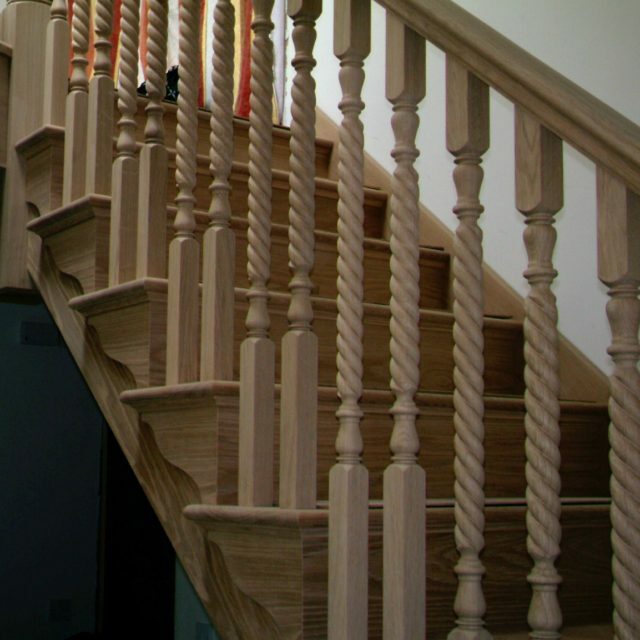 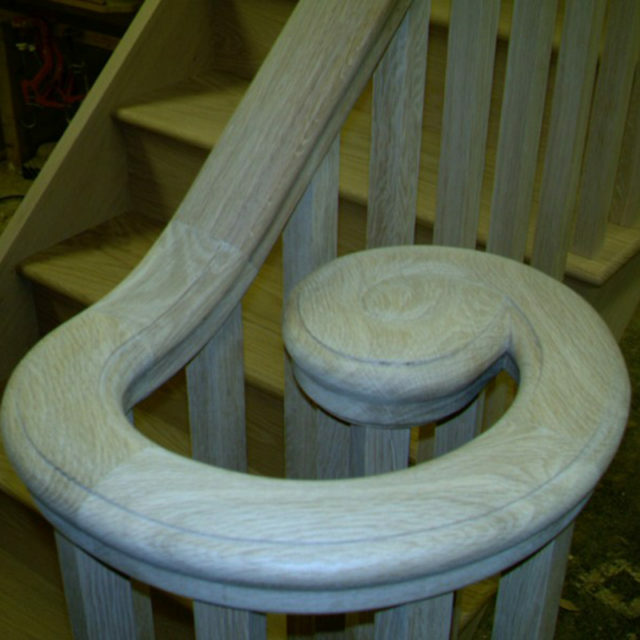 As experienced bespoke joinery manufacturers we pride ourselves on supplying top quality staircases to suit any situation, from traditional oak feature staircases in grand entrance halls to small kitewinder flights to loft conversions and everything in between. 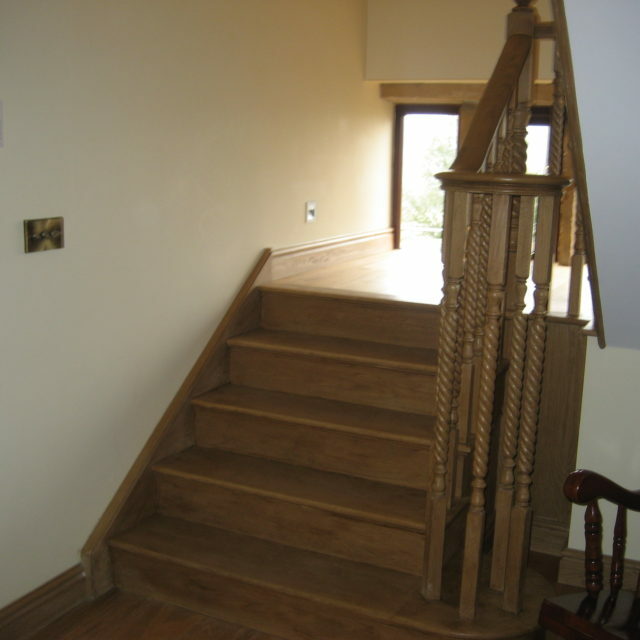 As staircase manufacturers we can design and manufacture a staircase to suit your specific requirements in softwood, southern yellow pine and a variety of hardwoods such as oak, ash, sepele or walnut. 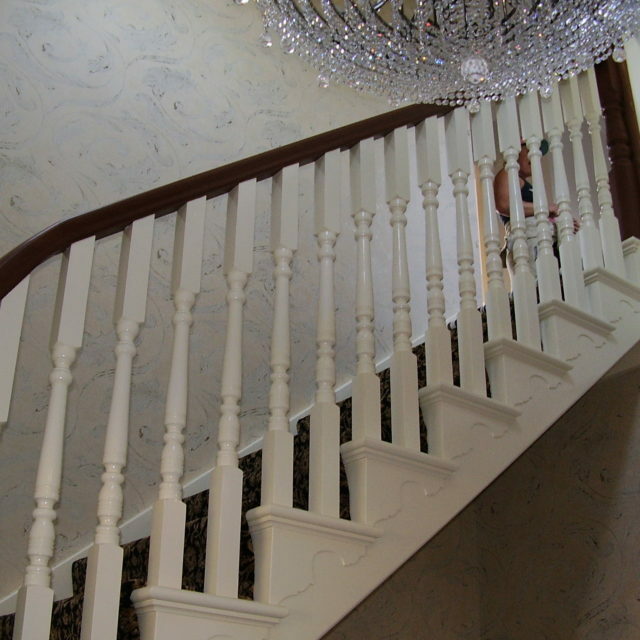 We can manufacture using kitewinders, half landings, curved strings; from grand oak staircases with cut strings and turned newels and spindles to more modern flights with glass balustrade. 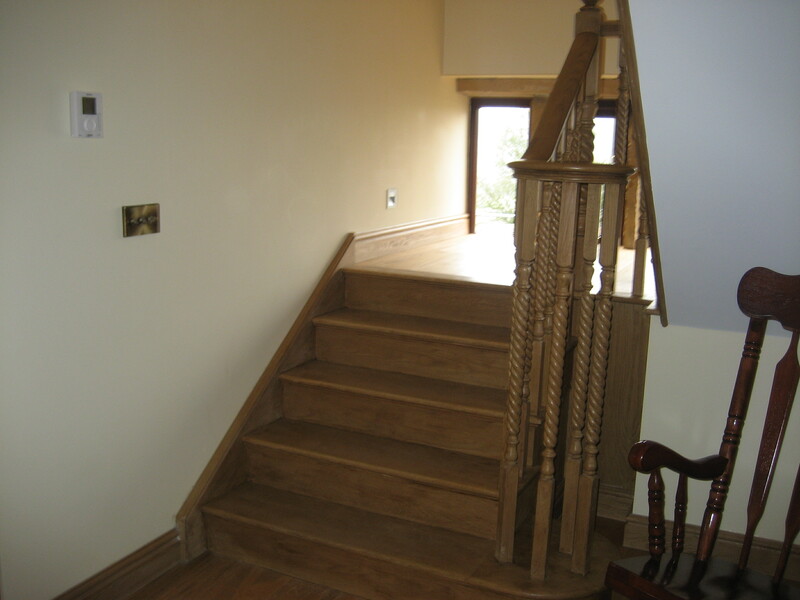 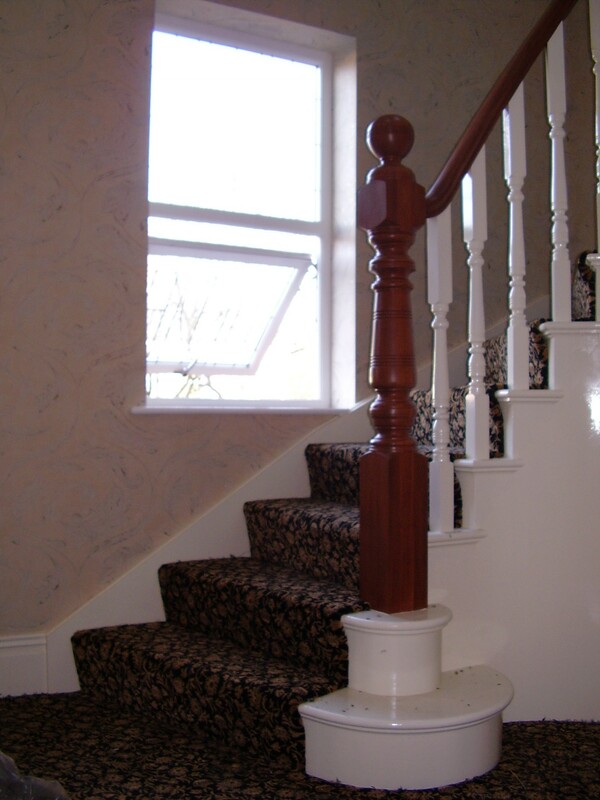 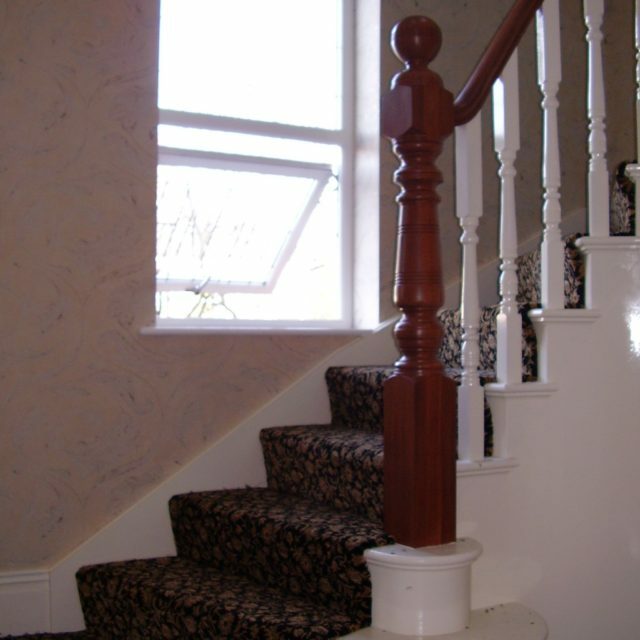 All our stairs are designed and manufactured to meet current building regulations. 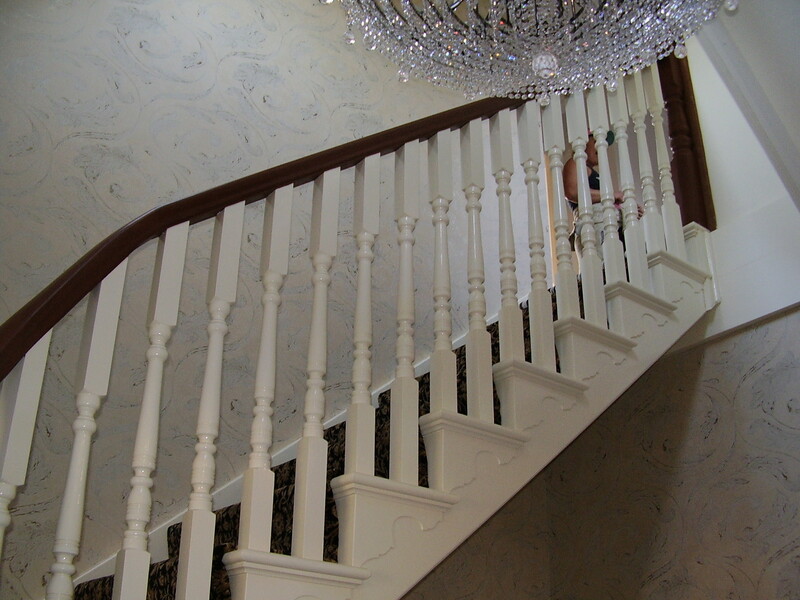 With over 100 years of experience in the industry as a commercial customer you can rest assure that we have the experience, technology and capacity to deal with your staircase requirements. 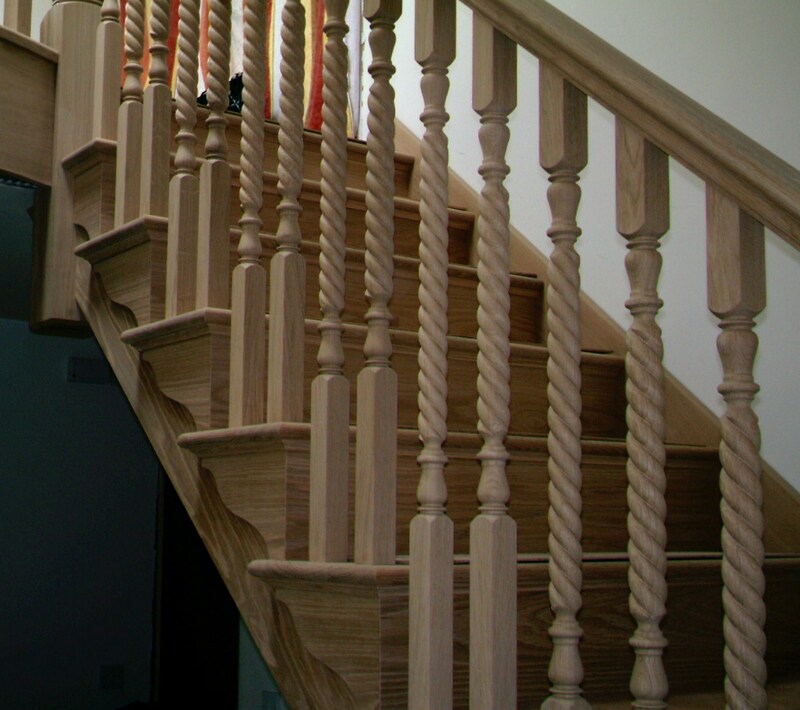 Whether it is a single flight for a high-end project, a large production run for a housing development our tailored service enables us to meet all demands.